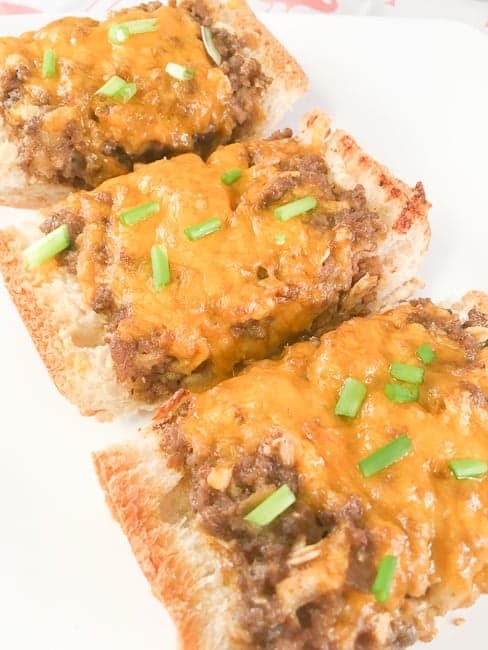 Meaty, cheesy, savory little “open face” sandwiches are always a family favorite. After baking, slice the loaves into easy to hold individual mini sandwiches. Stuffed french bread is an easy appetizer or main meal! 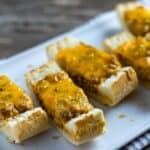 The kids will think this ground beef and cheese stuffed french bread is fun to eat and the grown-ups will love a delicious, quick and easy comfort meal. Stuffed french bread is an excellent meal choice for a busy family. It’s a meal in a loaf of bread, like a giant sandwich. Evaporated milk is real milk that has had about 60% of its water removed by an evaporation process. This process creates a much more creamy, rich, savory milk than regular milk. There are so many excellent ways to use evaporated milk instead of regular milk or cream in your recipes and even in your coffee! From creamy desserts to savory main dishes, evaporated milk is an excellent replacement for regular milk. The oatmeal is simply used as a “binder” and thickener. It really doesn’t matter whether you use quick oaks or old-fashioned oats for this recipe. But I would NOT recommend using instant oatmeal or steel oats. And trust me, your kids won’t even know they’re eating oatmeal. Ha! In a short amount of time, you’ll have a delicious hot homemade meal with easy cleanup. Slice the french bread in half lengthwise and scoop out some of the middle. Set aside. Brown the hamburger meat and drain. Mix with remaining ingredients and spoon into the french bread halves. Top with cheese and bake at 350 for 20 minutes. Slice and enjoy! After baking, slice into hand-held size serving pieces. 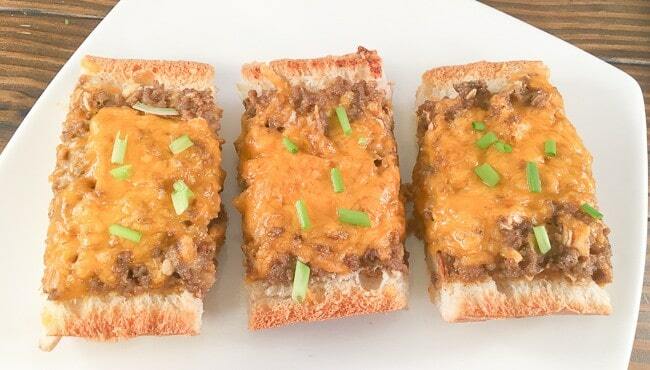 These little open-faced “cheeseburgers” are creamy, cheesy and delicious all by themselves. But you can drizzle some mustard or ketchup on top, or dip them into whatever condiment suits your fancy. A vinegar-based hot sauce really adds extra flavor so put a few drops on top. And don’t forget pickles on the side! Stuffed french bread is an excellent meal choice for a busy family. In a short amount of time, you'll have a delicious hot homemade meal with easy cleanup. After baking, slice the loaves into easy to hold individual mini sandwiches. Preheat oven to 350. Slice the french bread in half lengthwise. Press down the inside of each half with your fingers, (or remove some of the bread) creating an indention to hold the meat mixture. Place each half onto a baking sheet. Brown the ground beef with the onion until the beef is done, remove from heat, and drain off the fat. Mix in the remaining ingredients. Stuff equally into each half, top with remaining cheese, and bake for about 20 minutes. Midway through cooking, check to see if the edges of the bread are browning too quickly. If so, loosely cover the loaves with foil and continue baking. 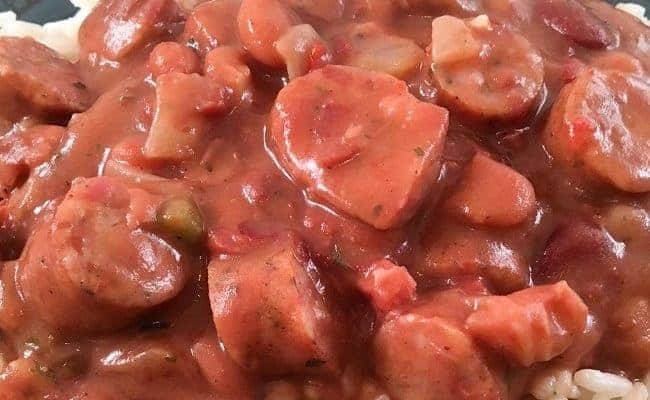 Here are some other recipes you may like. By the way, the chocolate chess pie recipe is super crazy good. Please leave me a comment if you make this recipe. I’d love to hear from you. Let’s keep in touch!